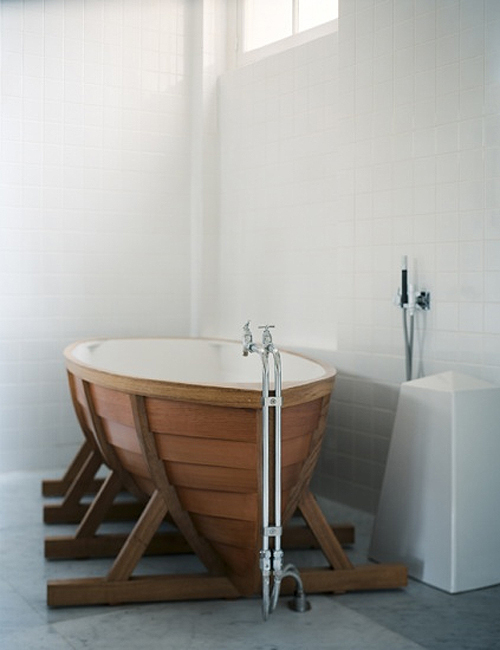 Today I am loving … this bathroom with the incredible bath boat from Dutch designer Wieki Somers. I love the bath boat!! Isn’t that something! I’d want it in the main room! This is a wicked bath, I love!